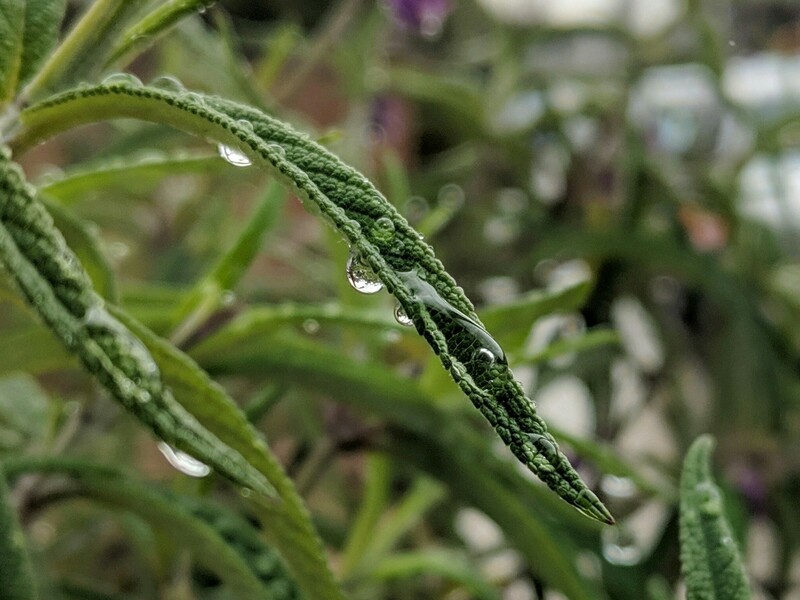 Raindrops on sage, spotted while walking around in the rain today. There were two major cloudbursts, one overnight and one mid-morning. At this point the second one had faded to a little more than a drizzle, something a bit more comfortable to walk in.